For many years Cathedral Cave has been negatively impacted in many ways. Certainly formations were collected from the cave in the early 1900s visits. There is evidence of pot looting pits in Indian cave. In later years there are stories of vandals shooting at the bat colonies. And in the 1970's a local rock shop broke and blasted off formations to sell in their shop. So when we purchased the property in 2004, one of the first things we did was to install property gates, and build a strong bat-friendly gate on Cathedral Cave. We also set up an onsite caretaker to keep an eye on the property 24/7. Our goals are not to keep everyone out of the cave, but manage access so that the cave and it's inhabitants are not adversely affected. A variety of conservation projects are currently underway. Property cleanup was initiated to bring the surface back to a more natural state. Cave grafitti removal projects have started, but with control as to not damage historical signatures or impact wildlife. Cave trailing is planned to limit damage to fragile or biologically active areas of the cave. Formation repair has also begun in mulitple areas. 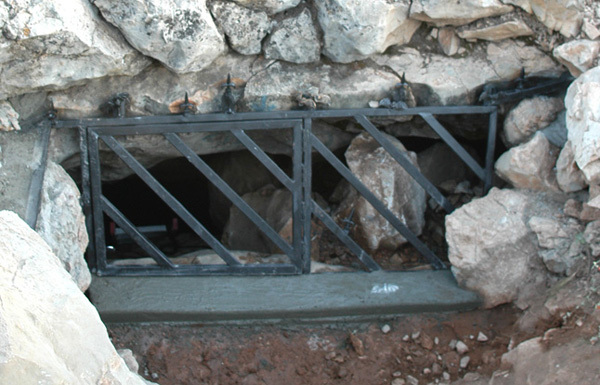 You can read more information about gating caves properly at MineGates.com They are experts in Bat Gates for Mines and Caves.